While there are many paramedics across the nation and even more worldwide that graduate from U.S paramedic schools, there are only 2000 certified flight paramedics currently employed as of 2011. Becoming a flight paramedic is almost as challenging as the career itself, earning each student that is certified the FP-C paramedic logo, which is worn proudly. The FP-C certification is more difficult to achieve because there is no course offered as of yet to assist with materials each potential candidate needs to know in order to pass the entrance certification exam. In addition, there are several other requirements that most agencies will require before a paramedic can be considered eligible to take the test and others for those wishing to enter job placement that must be prepared for well in advance. Paramedics wishing to pursue a career as a flight paramedic must show a high degree of self-discipline, organization and a willingness to meet challenges head on, which is similar to the characteristics necessary to work in the field. In addition, those individuals just beginning their career as paramedics should attain an education through a more challenging and respected school, such as the ULCA Paramedic School while learning the basics to assure they are up to the following challenges to fulfill their dreams. Preparation for the NP-C examination actually begins long before it’s time to hit the books and work with the materials. It is discouraging for a prospective flight paramedic to work through all of the necessary material only to discover they are not eligible for testing without the other requirements met, which is why there are so little in the career currently. However the positive news is that the NP-C exam does not have a minimum education requirement or a minimum expectation for in-field experience so students that have just graduated and completed the NREMT exam may begin their career as a flight paramedic if all other requirements have been met. Flight Paramedic Certification: What’s Required? 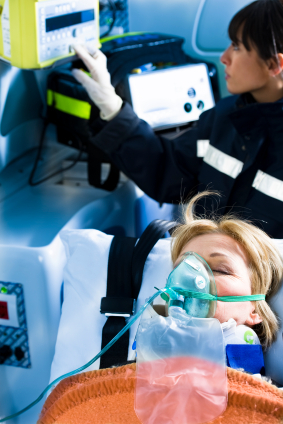 Depending on the state and specific facility in which the paramedic intends to test, other advanced certifications may be required, so it is important to check with the testing agency in advance. All certifications must be active at the time of testing as well. So the first step to becoming a flight paramedic is to obtain and keep active all of the required certifications and testing required for the exam. The potential paramedic must also research the particular state to acquire even basic training in the areas of air medic/critical care transport to fulfill this requirement. An excellent venue for locating training is community college or a nearby university. An example of this would be the courses offered by UMBC, which will certify paramedics currently holding a professional license in the required aspects for the FP-C exam. The UMBC also offers the CCEMT exam on site as well. Once the paramedic has secured all of the prerequisites for testing, it is time to focus on the FP-C exam itself. The FP-C certification is considered the highest level of academic achievement that a paramedic can achieve and the test was designed by the Applied Measurement Professionals to assure compliance with the highest testing standards. Paramedics will be allowed 2.5 hours to complete the exam that will consist of 125 multiple choice questions based on 12 main concepts. 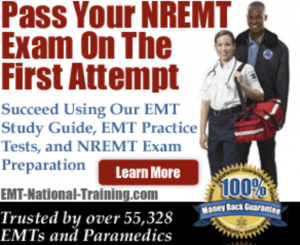 However, the test questions will not be scenario based like the NREMT exam. Within each of these 12 categories, students will find information that is not only essential to passing the exam, but also an absolute must when working as a flight paramedic. Each of the 12 categories also has a pre-set number of questions that will be asked on the exam, with the most questions found in the Critical Cardiac Patient area. The breakdown of the exam questions can be found in several places including study sites, paramedic informational websites and online courses. IAFCCP– International Association of Flight & Critical Care Paramedics provides an excellent list of training/prep courses both in the face-to-face and online categories. BCCTPC– The Board for Critical Care Transport Paramedic Certification is responsible for exam administration and an excellent resource for information regarding exam requirements and testing details, as well as links to some great resources. Several comprehensive study guides can be purchased in hard copy though a local book store, campus store or online at Amazon.com such as the Flight Paramedic Certification- A Comprehensive Study Guide and Critical Care Patient Transport-Principles and Practice 5th Edition. These study guides offer practical information covered on the FP-C certification exam and contain practice questions for self-evaluation along the way. Another useful guide both for the actual FP-C exam, as well as simply used on an ongoing basis during field work, is the spiral bound, pocket size Critical Care Transport Field Guide produced by UMBC. While there are no official courses to assist a paramedic in studying for the NP-C exam, professionals can find many practice test preparation courses offered by a number of credible sources. The courses each come with a detailed study guide or workbook that can be used to follow during the online course and for additional study before the test. The online prep courses may even offer the option of purchasing a workbook in PDF format for even more study time while on the go.